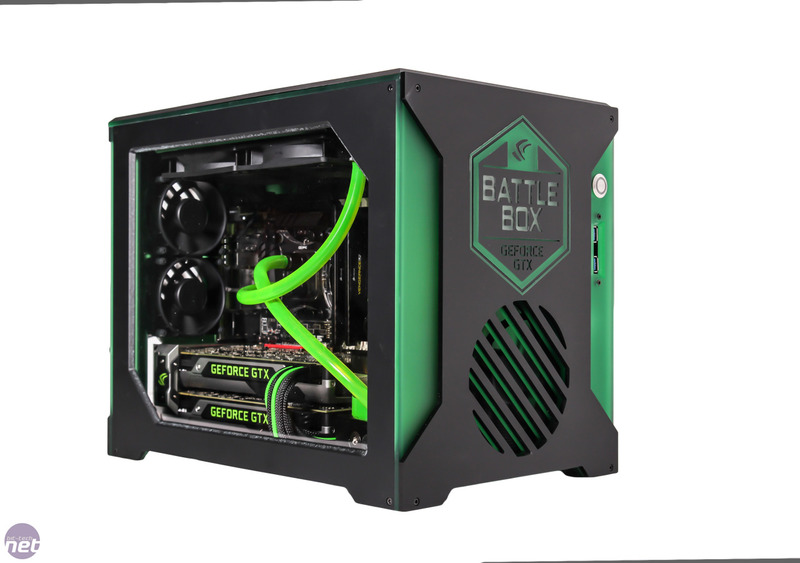 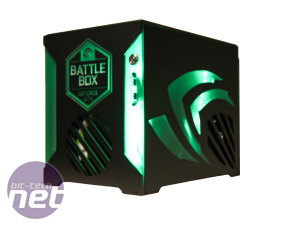 Earlier last month, Nvidia announced its GeForce GTX Battlebox programme - a scheme designed to bring 4K to the forefront of gaming and allow a select group of PC manufacturers go all-out in creating Nvidia Battlebox-approved PCs. 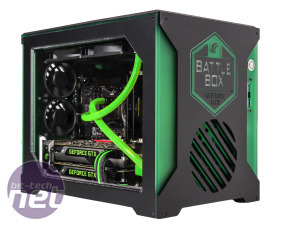 Sporting a minimum of two of Nvidia's high-end graphics cards in two-way SLI plus Intel Core i7 CPUs, the systems are designed to do one thing - batter the latest games into submission at 3840x2160 - also known as Ultra-HD or 4K. 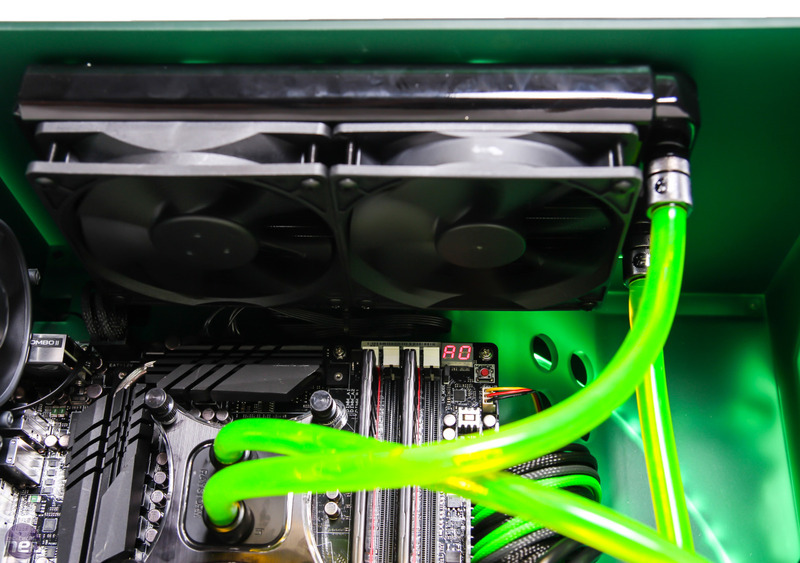 We've been testing systems and graphics cards at 4K for a few months now and one thing is certain - it's the most daunting task graphics cards have faced since Crysis. 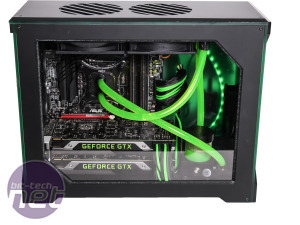 No single graphics card we've tested can cope with the likes of Crysis 3 and Battlefield 4 at maximum settings so for the time being, SLI/CrossFireX with two high-end graphics cards is the only way to be sure you have plenty of headroom. 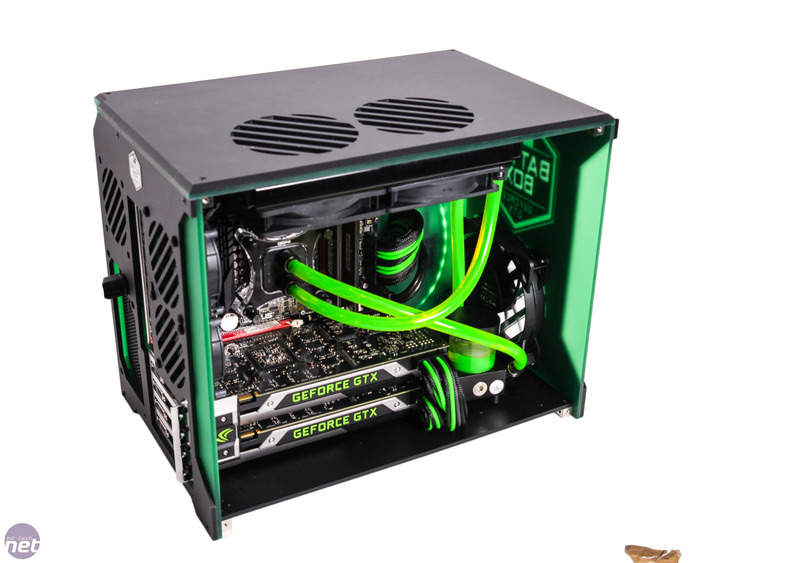 To coin a phrase 'Can it play Crysis?' 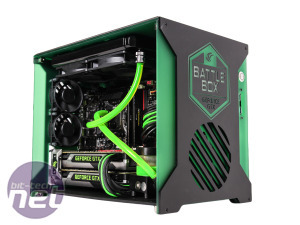 - in 2014, the question will be can it play 4K? 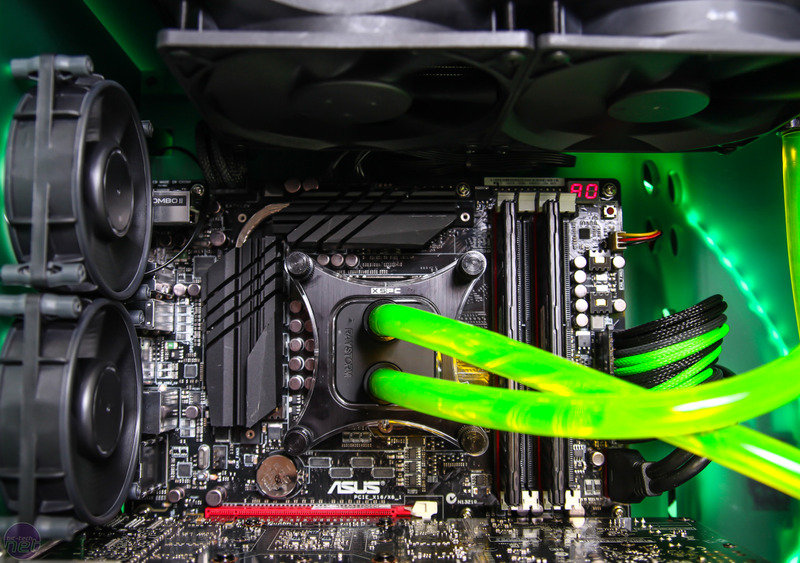 While 4K PC monitors are still extremely expensive, the prices will fall and we also hope that the increased pixel density will filter down to smaller, cheaper displays too - 24in 2,560 x 1,600 monitors anyone? 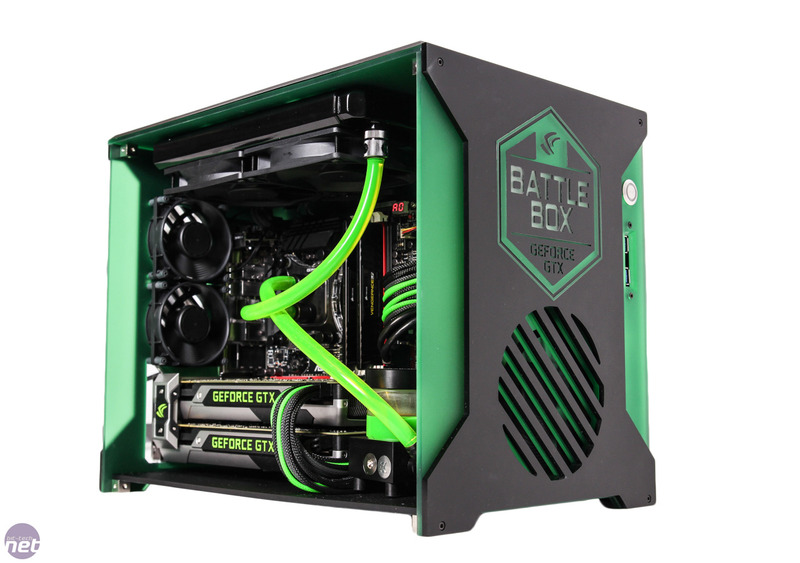 Back to the task at hand, though, and Computer Planet has been kind enough to send us its take on an Nvidia Battlebox. 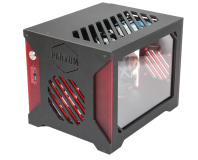 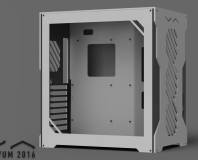 If you're a regular in our massive modding community or perhaps seen a Mod of the Month article, you'll know all about Parvum systems - the Essex-based acrylic case manufacturer who's micro-ATX case, the S1.0, has resulted in some stunning builds that have been the envy of plenty a LAN party this year. 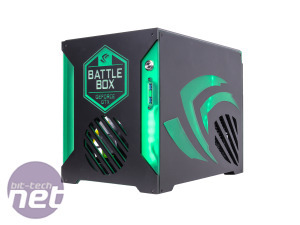 The Battlebox is based on the S1.0, but retailing for close to £3K, you'd be right in expecting a fair amount of customisation as well as top-end hardware too. 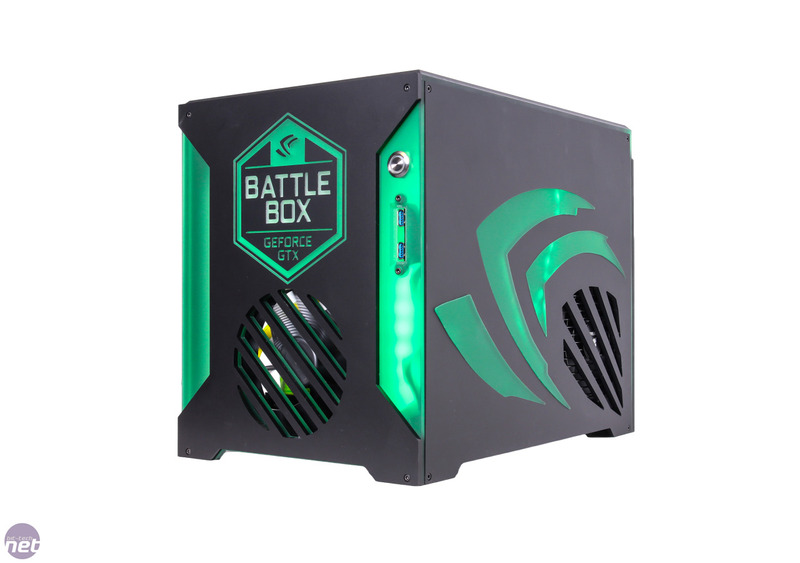 Thankfully, the Battlebox doesn't disappoint on either account. 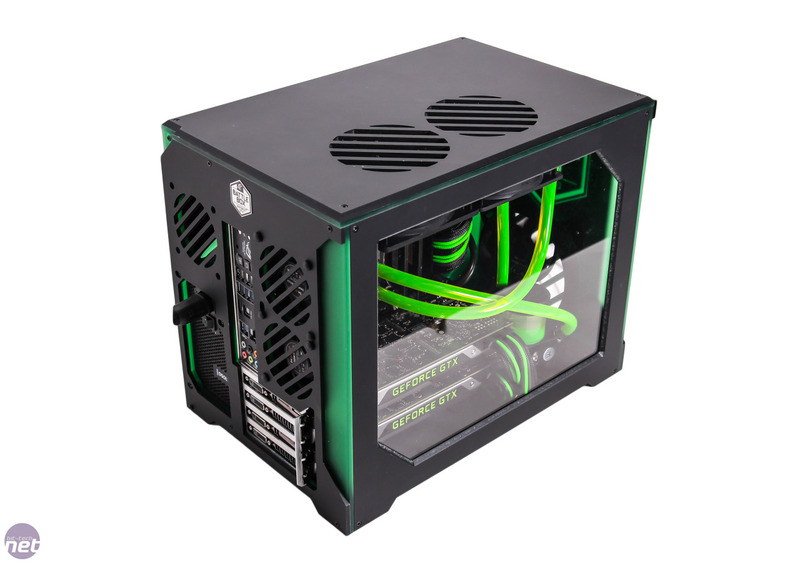 Spec-wise, it has a Core i7-4770K CPU overclocked to 4.4GHz plus two Nvidia GeForce GTX 780 3GB's. 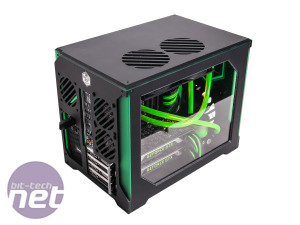 These can of course be upgraded to the latest 'Ti' models via Computer Planet's configurator. 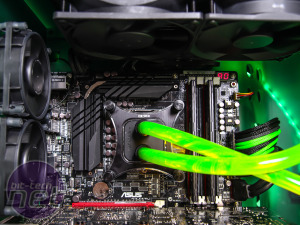 The motherboard is a tasty inclusion too - Asus' Maximus VI Gene sits at the heart of the PC along with 16GB of Corsair Vengeance 1,600MHz memory and a 240GB Corsair LS SSD and 2TB Seagate Barracuda hard disk. 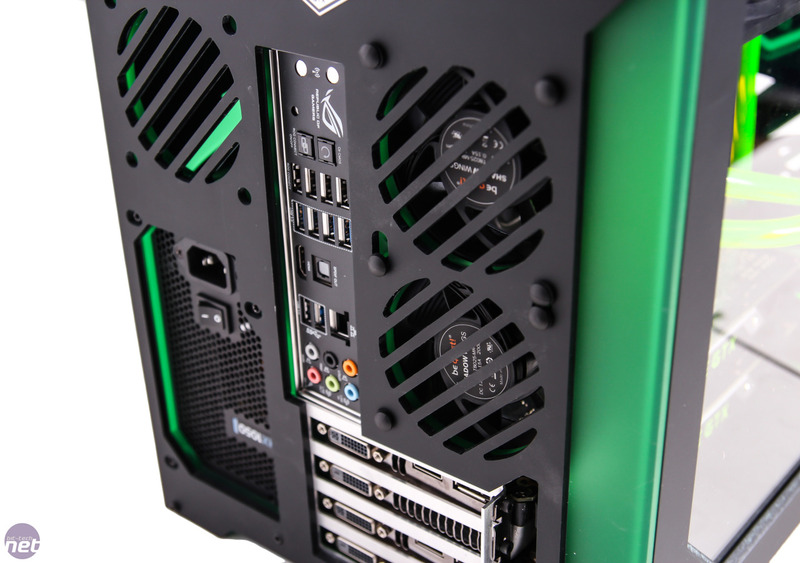 A Corsair HX1000 PSU should provide plenty of headroom, even with two GeForce GTX 780 3GB's. 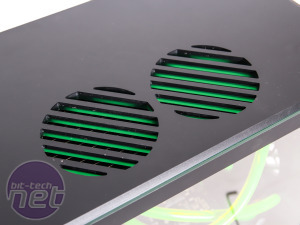 For cooling, Computer Planet has opted for BeQuiet Silent wings fans for the case, while a custom water-cooling loop includes an XSPC Raystorm CPU waterblock, dual 120mm-fan radiator, Mayhems coolant and an EK-DCP 4.0 X-RES pump and reservoir. 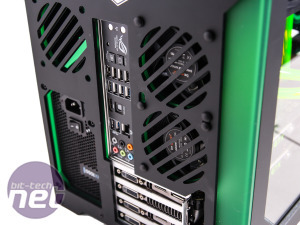 The specification is of course customisable so you could opt for entirely different hardware or choose to have the graphics cards water-cooled too, and while there's no optical drive as standard, Computer Planet will offer potential buyers a slot-loading Blu-ray drive along with a modified front panel with a disc loading slot cut into it. 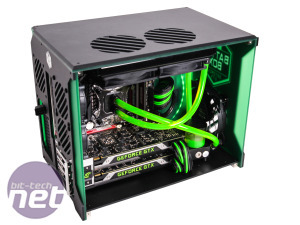 There are two front USB 3.0 ports but something that's amiss are audio minijacks. 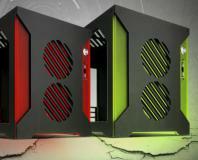 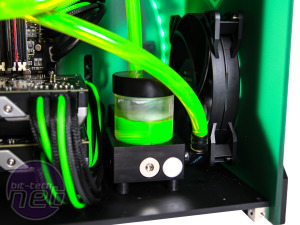 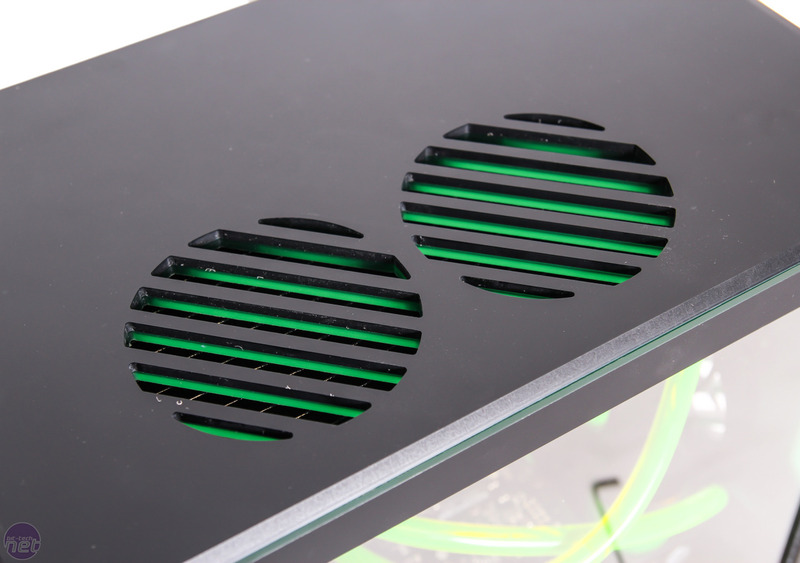 As Parvum Systems are able to create its cases from scratch using acrylic, there's also the option to have the case made in different colours if green and black aren't your thing, although we think it looks pretty awesome as it is. 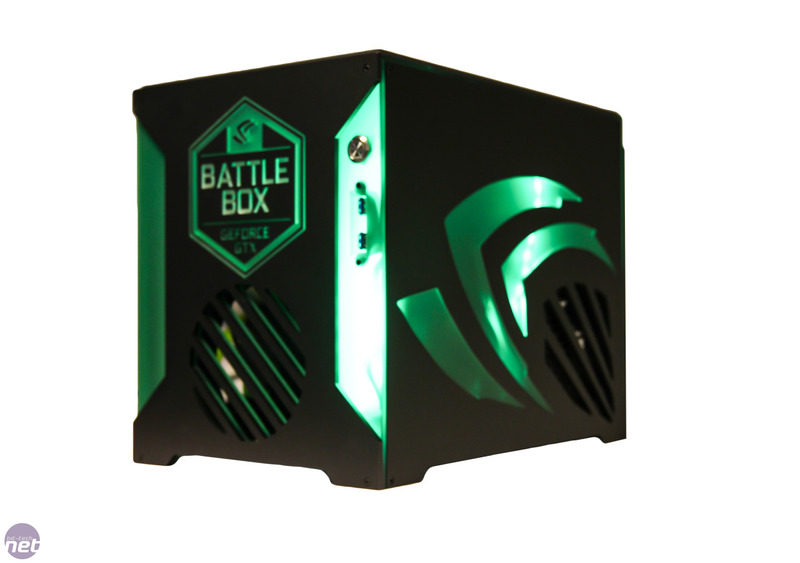 Despite being made of acrylic, the case is remarkably sturdy and solid-feeling with no hint of wobble, and the finishing is excellent. 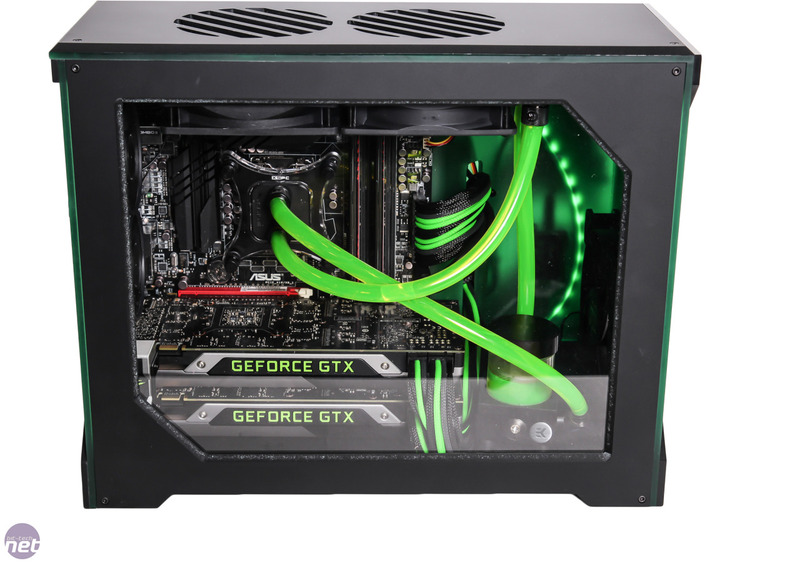 Graphics card 2 x Nvidia GeForce GTX 780 3GB in SLI with custom limited edition SLI bridge.